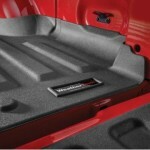 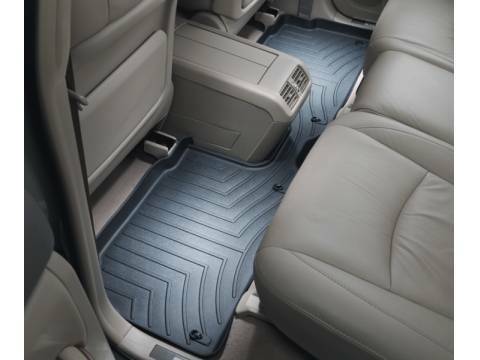 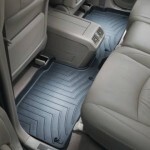 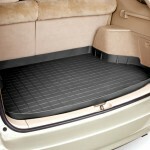 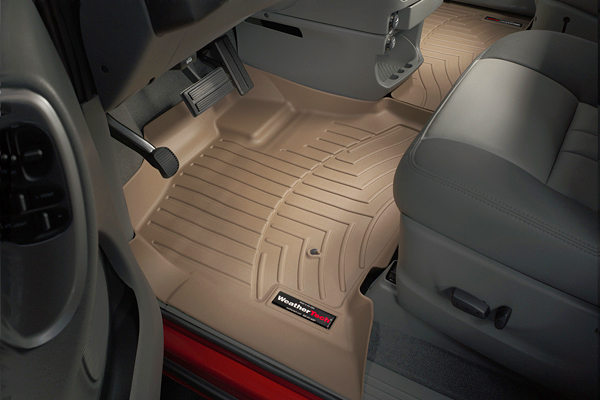 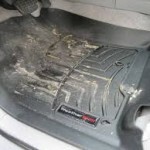 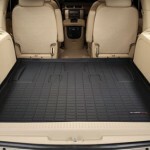 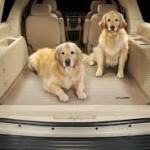 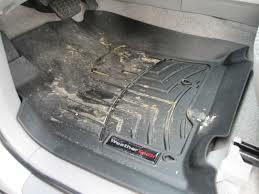 Weather Tech Floor Mats have deeply sculpted channels designed to trap water, mud, and sand. 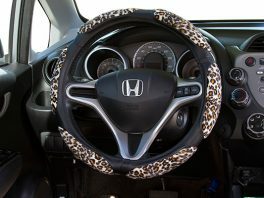 Perfect for all weather use. 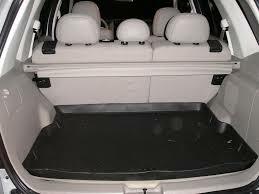 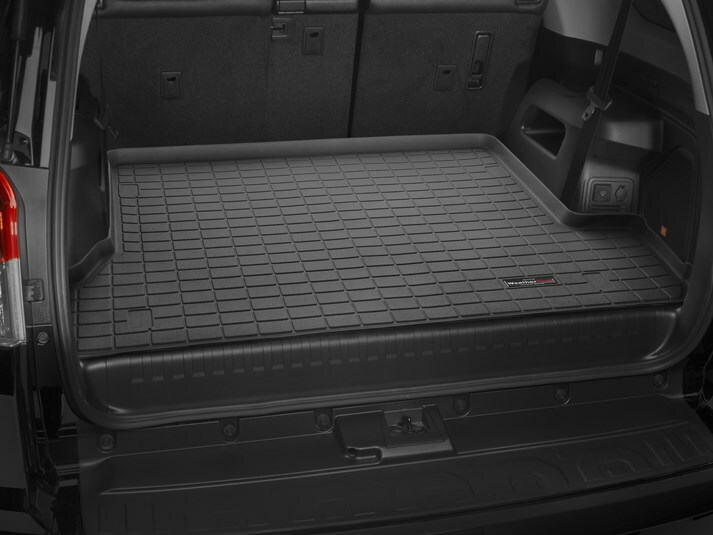 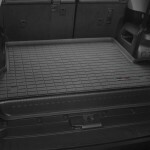 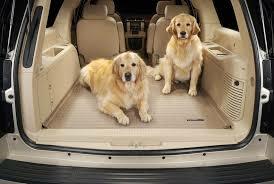 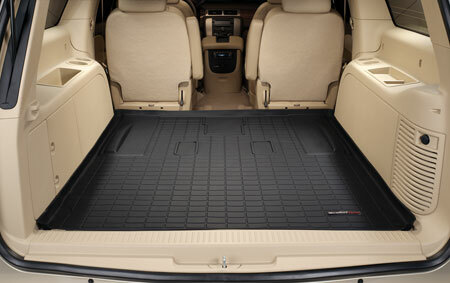 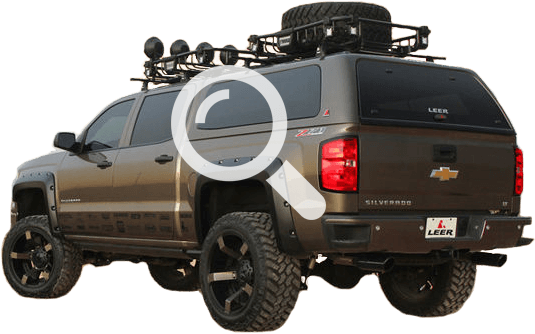 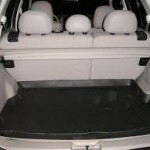 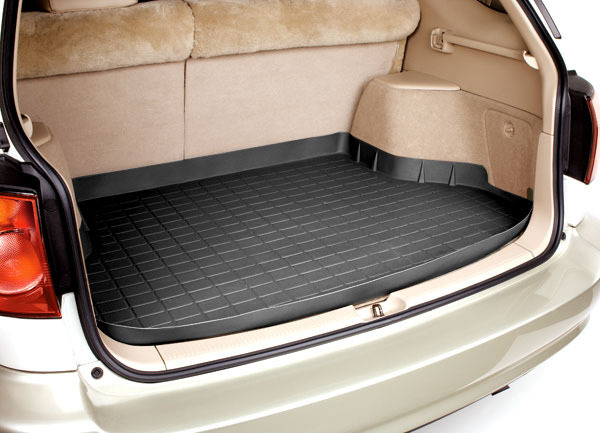 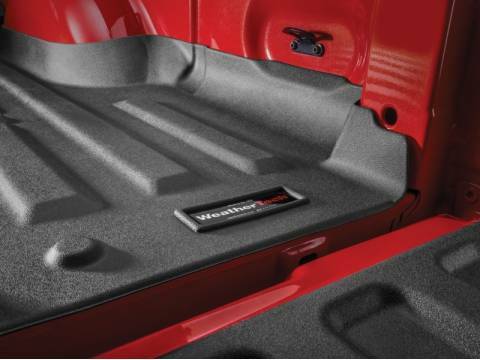 Precision designed and manufactured using the latest technologies available, floor mats and liners from WeatherTech are the ultimate in floor protection. 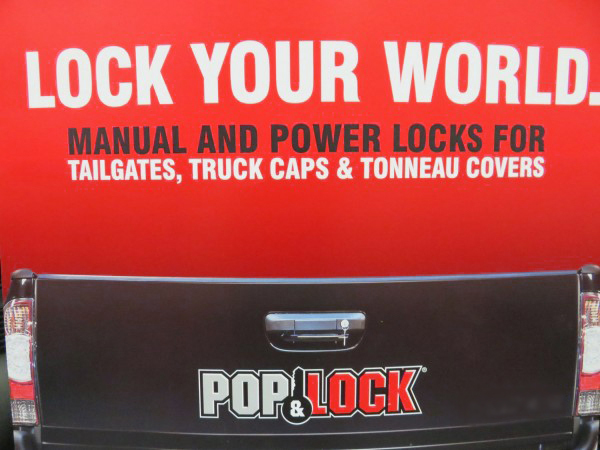 They are also proudly made in the United States. 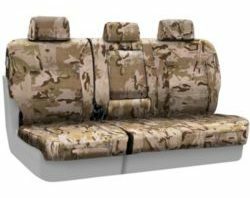 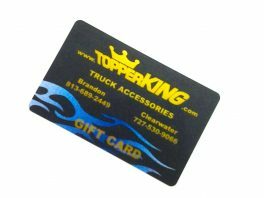 Each style is available in black, grey, and tan to match your interior color scheme, and can be ordered in pairs for front, rear, or all rows of seating.